The latest demo presented to you on the eve of 2008, what we hope will be a more active and productive year than this just passed. 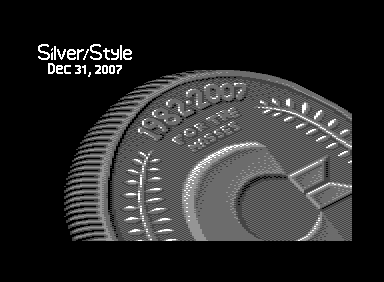 In this demo we applaud the c64 for its 25 years of age: my god, look at it! Barely out of college and looking quite dapper... we also take this chance to tribute Jim Butterfield - a true legend, no longer living.